NEW ARRIVAL!!! 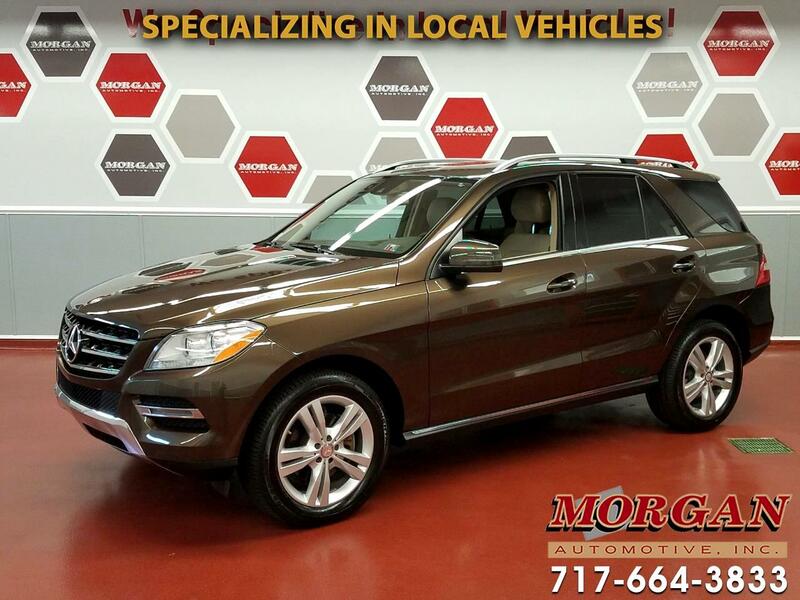 ****BEAUTIFUL 2013 MERCEDES ML350 BLUETEC DIESEL WITH PREMIUM PACKAGE! ****This is an awesome AWD SUV that combines power from the 3L V6 trubo diesel engine with Mercedes' legendary luxury and safety all in one gorgeous vehicle. Safety features include blind spot detection system, distance warning, attention assist and lane keeping system. It comes nicely-equipped with power sunroof, heated front seats, power liftgate, dual-zone climate controls, 3 position driver's power memory seat, integrated voice command with Bluetooth, all power equipment including power folding mirrors, large LCD infotainment center with Navigation, Rearview camera and AM/FM/SXM/AUX/CD/USB radio with steering wheel controls, cruise control, traction control, air conditioning. Recently serviced with an up-to-date PA inspection. Tires and brakes are in excellent condition. Comes with a 4-month/4,000 mile powertrain warranty with the option to extend coverage for added peace of mind. Financing is available and all trades are accepted. For more details on this awesome ML350 please contact our friendly commission free sales team at Morgan Automotive today.